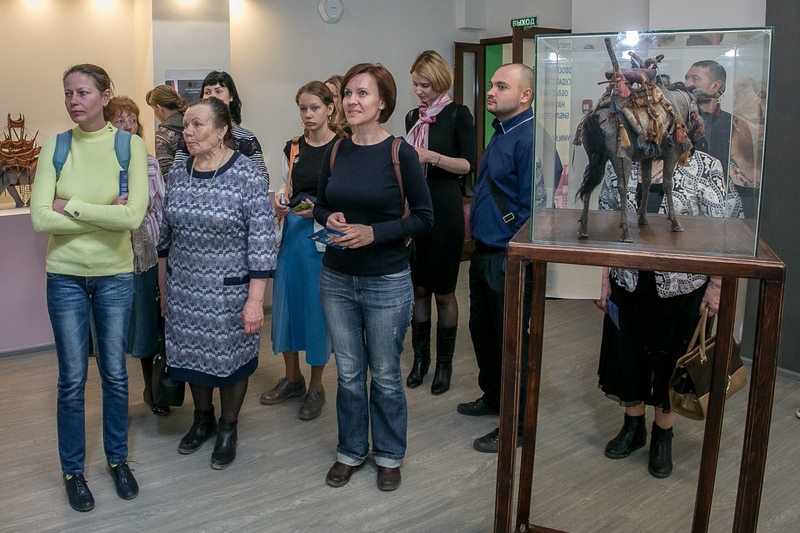 Exhibition project of the Arts Department of the Novosibirsk State Regional Scientific Library within the framework of the All-Russian Educational Action "Biblionight-2018"
Participants: Alliances françaises, Veselova Marina, Vlasov Vladimir, the project "Outstanding Novosibirsk", Gindulina Lyudmila, Glebova Polina, Gorbunov Anton, Valery Drozdovich, Art Indigo stained glass studio, Natalia Kilganova, Edin Loginov, Lomenkova Alina, Lysenko Svetlana, Moskaleva Lyudmila Myskina Natalia, Narozhny Margarita, Ochira Marianna, Natalia Pavlushina, Julia Piskunova, Olga Pushenko, Valeryia Sukhova, Victoria Trifonenko, Anatoly Khlybnikov, Xenia Khlebnikova, Nikolai Khlebnikov, Natalia Chevzhik. Today, we are less and less surprised by different things, because we are accustomed to incredible phenomena even in everyday life. We rush through the circle of events with smiles or tears, with problems or joys ... and it seems that this race can not be stopped ... We are ready to admire and admire, only to choose the right moment in our lives for these feelings and emotions. 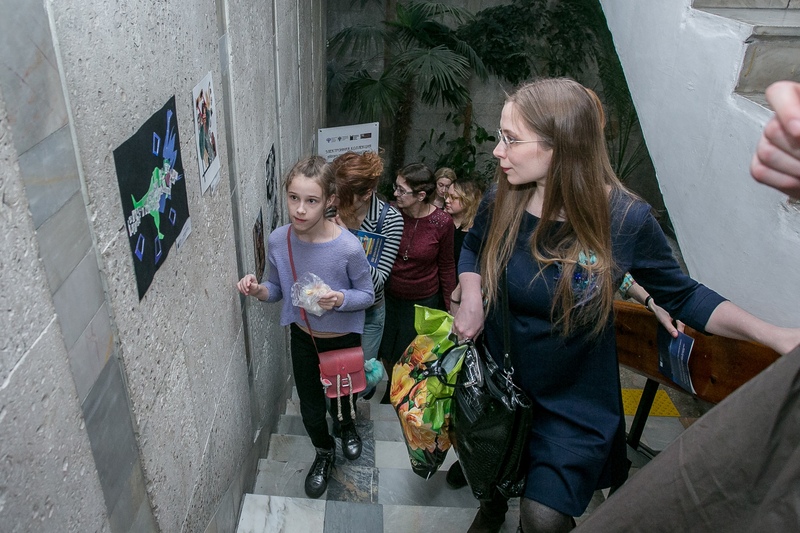 The exhibition project "100 Discoveries Per Minute" about the magic that was born to artists-participants once as a reaction to life events, read books, familiar people and animals. The theme of "discovery" is read in the concept of the project in the context of two main concepts: "magic" and "surprise". Let me remind you that the theme of the All-Russian educational campaign "Biblioch-2018" was "The Magic of the Book." 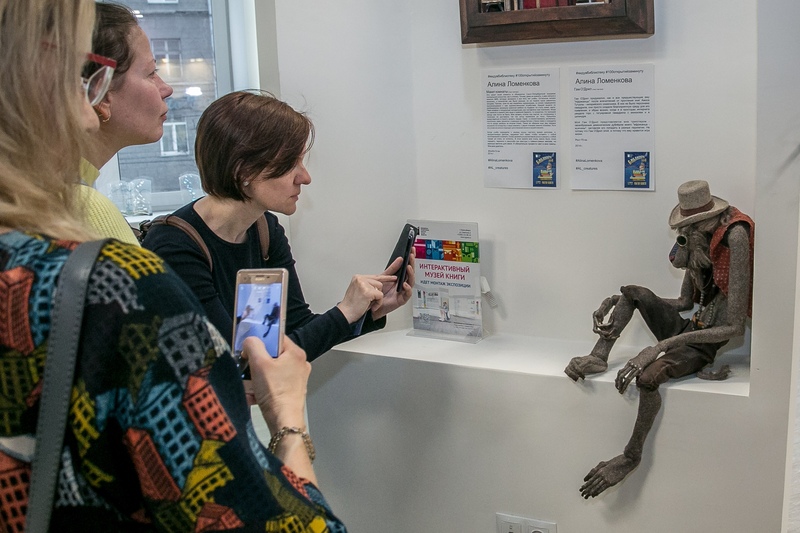 Having located objects in the spaces of the Novosibirsk Regional Scientific Library, I made parallels with the literature and music that inspired every artist. That is why all expositional locations were provided with original author's texts-explications (explanations). By its type, this exhibition I refer to the format of the mega-exhibition, because within the overall project there are more than 30 personal statements. This project has become a natural continuation of the exhibition activity, which has been conducted by the library's art department since 1986. The main areas for the placement of author's projects have always been the Art Gallery of the Arts Department, the space of the library corridors. In 2018 the library is updated, new modern spaces are opened. It was the library loft and the photo gallery of the hall of the 2nd floor, where the significant part of the exhibitors' work was placed. "100 discoveries per minute". In addition, staircases were used in the placement, representing the usual passageway in a new way. I am pleased to realize that such projects blur the boundaries between types and forms of art, and the library becomes a multifaceted cultural center that owns a vast resource base. 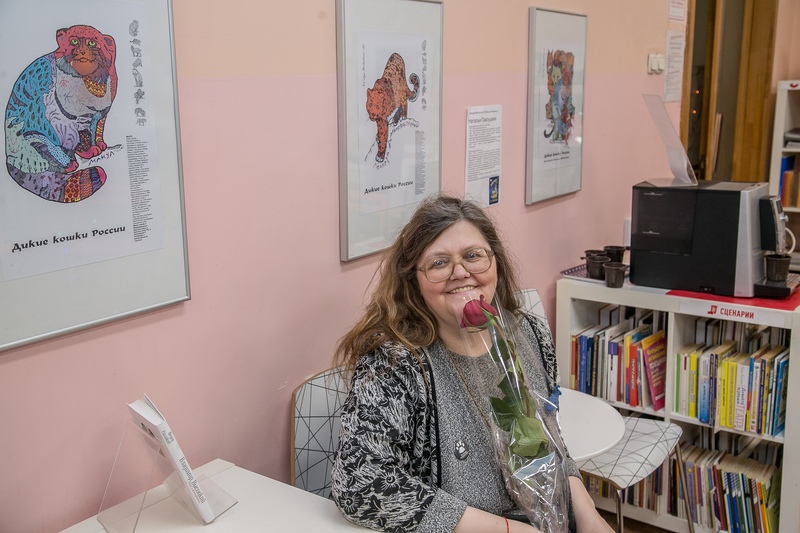 In the project, we collected more than a hundred works of Novosibirsk artists, photographers, stage designers and designers - all those who responded to the offer published in social networks Vkontakte and Facebook, and submitted an application. The composition of the exposition turned out to be very variable, which is explained by the absence of rules for any selection of exhibitors (only the selection of works within each personal project took place). 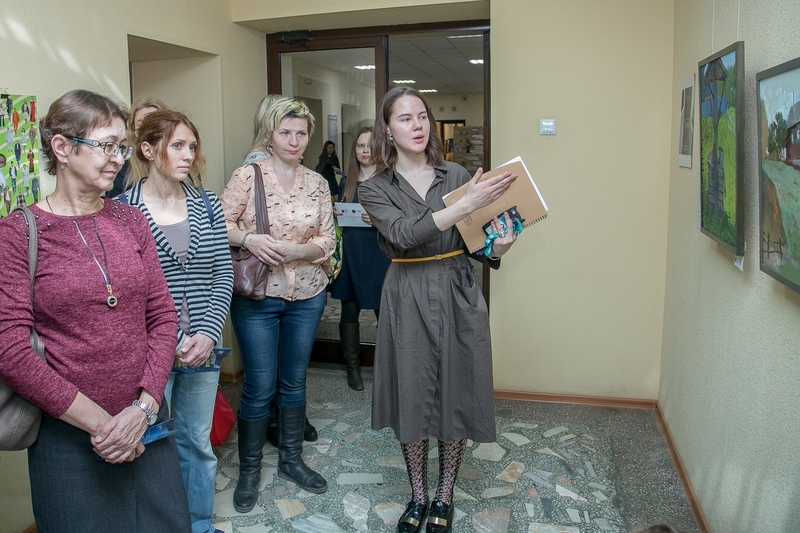 The project reflected a growing number of photographers in the city of Novosibirsk. Every year, people picking up the camera and positioning themselves as photographers are becoming more and more. Photographic projects of Valery Pyshenko, Victoria Sukhova and Marina Veselova combined various perusal of the urban environment of Novosibirsk, as well as the role of a person in it. Among the picturesque works, I will highlight the project of Vladimir Vlasov, connected with the etude representation of the landscapes of his native land. Coloristic and tonal monumentality, accurate use of texture - strong visual aspects of the artist's works. 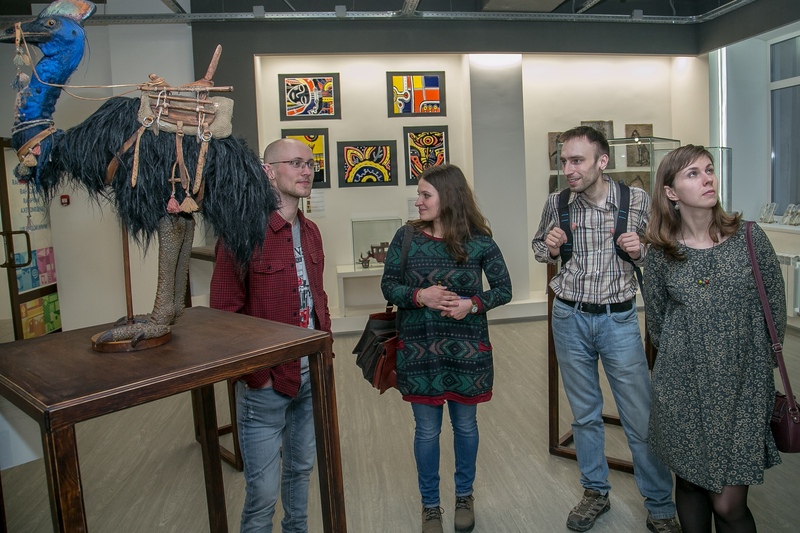 The greatest interest was caused by the project of author's sculptures by Alina Lomenkova, which included compositions "Africans", "Mumakil" and others. Ethnoses are the main theme of Alina for inspiration, the works are rich in bold combinations of textures, are generously decorated with paintings and ornaments. In addition to the sculptures, the author presented a series of graphic sheets that reveal the topic and show the process of creating objects. 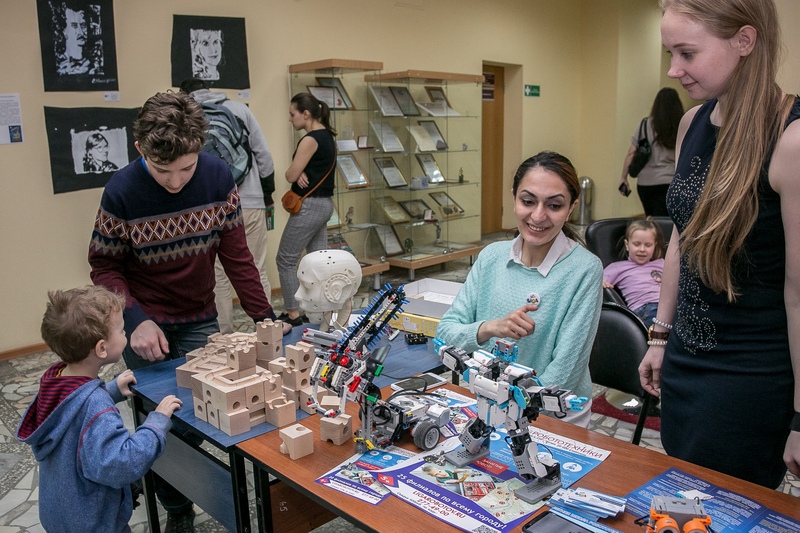 Undoubtedly, the project "100 Discoveries Per Minute" was the starting point in the work of the library with collective exhibitions of young artists. He showed the educational and enlightening role from the visual side, arranged the accents in the route of movement through the exhibition zones, re-introduced the library spaces in a new way. During the exhibition, the exhibition was visited by more than 1500 people.